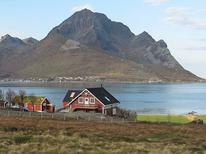 A holiday house on the Lofoten costs on average USD 676 in the cheap travel period and USD 1,063 in the peak season per week. These details are of course in relation to the house and not per person as well as includes the obligatory additional charges. 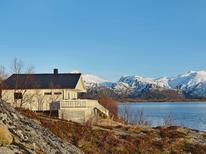 Far up in the North of Norway and already beyond the Arctic circle, the Lofoten islands wait with all their beauty. Book your holiday apartment online now and fly directly to one of the airports in the region or enjoy the journey with the legendary postal boat Hurtigruten. In the small fishing towns of Lofoten you will spend your time hiking up the mossy cobblestone mountains or trying some of the dry cod specialities, for which Northern Norway is known all over the world. 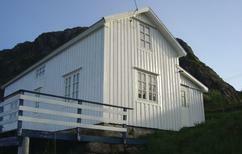 Places like Å i Lofoten, Henningsvaer and Maervoll are some of the biggest producers of the dish. In Å you can even visit a small museum that shows you in detail how the dried cod is processed and to which countries it is exported. 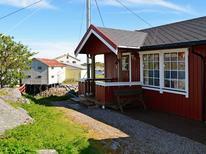 Fishing brought wealth to the islands, which is especially visible when you look at the stylish fishing lodges. Behind the traditionally red wooden facades you can find luxurious living rooms with fireplaces and many more extras. 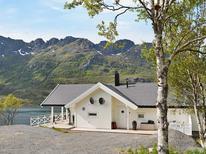 Just have a look at the offers for holiday homes in Lofoten on TUIvillas.com and choose to rent the best option for your individual needs. The northern coast of Lofoten is slightly rougher than the south. Remote cliffs and hidden beaches attract adventurers and nature fans. From Fredvang for instance you can cross the lush mountains and reach some of the most beautiful beaches of the islands after a few hours hiking. 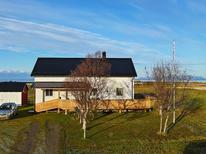 The same goes for small villages like Tangstad or Laukvik, which are a similarly good starting point for trekking tours. When it’s getting darker from late September on, you can perfectly spot the Northern lights in this region.